Gentle readers, there is a brand new Art Fair Bingo card for 2017. 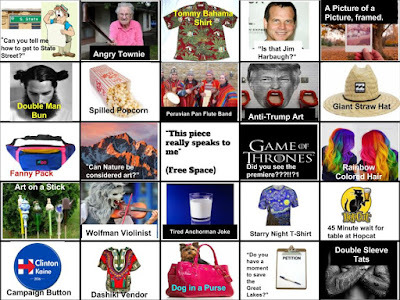 Made by Umich Senior, RJ Cron, this Art Fair Bingo game has tons of great updates for the modern era: double man buns, Jim Harbaugh, and Clinton Kane campaign buttons. It also still has the classics that make Art Fair Bingo great: art on a stick, pan flute musicians, etc. 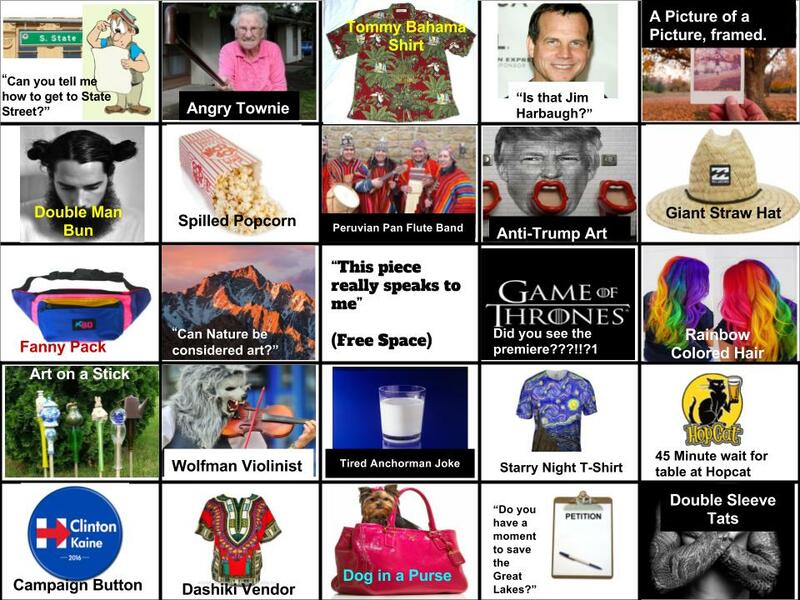 If you'd like to check out previous Art Fair Bingo cards, you can see them here. Image by RJ Cron, used with permission.